Shirts With Random Triangles: New Poster For "Suicide Squad" Features Will Smith As Deadshot, And Jared Leto As The Joker. New Poster For "Suicide Squad" Features Will Smith As Deadshot, And Jared Leto As The Joker. Suicide Squad cast. Image via screenrant.com. Warner Bros. has released a new poster for Suicide Squad, the upcoming film set in the same DC Cinematic Universe as. Batman Vs. Superman: Dawn Of Justice. 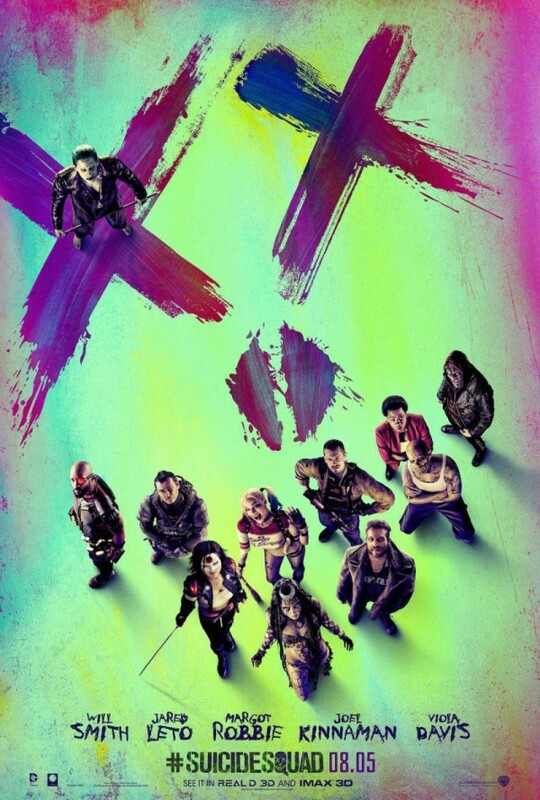 Included in the poster are film stars Will Smith as the mercenary Deadshot, and Jared Leto as The Joker. 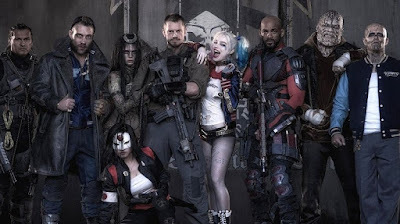 Based on the DC Comics series of the same name, Suicide Squad sees the US government forming Task Force X, a group made up the dangerous super-criminals it can find to go on black ops missions. What could possibly go wrong? In addition to Smith and Leto, Suicide Squad stars Viola Davis as Amanda Waller, Margot Robbie (The Big Short) as Harley Quinn, Joel Kinnaman (The Killing's Stephen Holder) as Rick Flag, Jai Courtney (Eric in the Insurgent films) as Captain Boomerang, and Common as The Tattooed Man. Ben Affleck is also making a cameo appearance as Bruce Wayne/Batman in the film. Suicide Squad is directed by David Ayer (Fury, End of Watch). It's set for an Aug, 5, 2016 release.